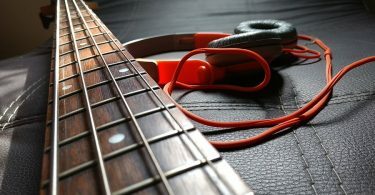 When searching for the best headphones for bass guitar practice, you’ll want to make sure to find headphones that have an amazing sounding low-end. Here are my top picks for headphones for bass practice, recording, and mixing. Whether you are practicing bass guitar silently in your bedroom or recording your next song onto your computer, it’s going to be hard to replicate the same ground-shaking feeling you get when playing through a bass amp. This is where a good quality set of headphones comes in. Short on time? Our top choice for headphones for bass guitar practice is the V-MODA Crossfade M-100's, and our top choice for bass guitar recording/mixing is the Shure SRH1540 Headphones. Earbuds and cheap headphones are not going to be able to produce the low-end frequencies needed to really hear and feel the real tone and nuances of the bass guitar. 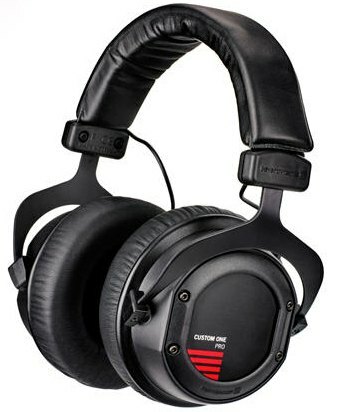 You’ll need good quality over-ear or on-ear studio headphones for this, and they are well worth the investment. If you are going after pinpoint accurate sound reproduction, skip down to the next section. If you are looking for the best body-rumbling bass headphones you can find, then these are the top choices for you. 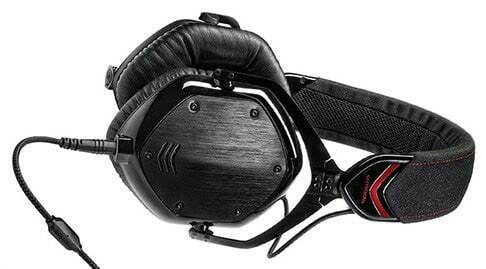 The V-MODA M-100’s are a bass-lovers dream. The low-end is highly emphasized in these with a boost about 8-9 dB higher than the mids and the high-end is still sparkly but not harsh. The mids do get left behind a little bit with it’s fun “V” shaped frequency curve, but once you hear the sledgehammer bass in these you’ll quickly forgive it. It features 50mm dual-diaphragm drivers which make sure the bass doesn’t bleed into the mids or highs. One of the great things about these cans is that you don’t have to turn them up very loud to enjoy them. The bass is still very much accentuated at all levels and everything comes through clearly. As far as the design goes, these things are a beast. They are made mostly of metal and have armored earcups. You can drop this thing onto concrete from 10 feet up multiple times over and they will be totally fine. In addition, the kevlar wrapped cable can be easily replaced if ever needed. Despite the extreme durability, the ergonomic headband and Ergosoft ear cushions are supremely comfortable. The lightweight materials used mean you can listen to this thing for hours on end and totally forget about them. They also feature active noise cancellation for helping you drown out the outside world. One thing to note is that even though they’re really comfortable, the clamping power on these are pretty strong which might be tiresome to some after many hours of use, but honestly I don’t think it’s much of a problem at all once you get used to it. It’s always great to have options, and the Custom One’s give you plenty of control over how much bass you want at the flick of a switch. The side of the headphone cup features a slider with 4 different positions - “Light Bass,” “Linear,” “Vibrant Bass,” and “Heavy Bass”. The 2nd position would be good for a more flat-response frequency curve, while the last is designed for all you bass-heads out there. Just having the ability to control the amount of bass is PERFECT for somebody who is using these to practice bass guitar with. The great thing is that even on the “Heavy Bass” setting, the mids remain clear and untouched, and the bass has a ton of clarity to it without getting boomy. I don’t think that position 1 is all that useful unless maybe you want to try and isolate the mids and highs, so you probably won’t be using it that often. These are probably the most comfortable headphones I’ve ever used. The large headband makes contact all along the top of my head so that there aren't any single points of contact that wear out my skull. The super-soft leatherette pads make me not want to take them off...ever. What’s cool is that you can customize the look of these cans by swapping out the covers on the sides with different designs. Throw in the fact that is has a detachable cable and the ability to plug in a microphone, and you’ve got yourself a quality set of headphones. You should choose the following headphones over the ones listed above if you plan on recording and mixing music or listening to other instruments. They will have a flatter frequency response and will show more of the true form of the sound. My top picks still have great sounding bass - it’s just that the lower frequencies won’t be boosted unnecessarily. Though on the pricier side, the Shure SRH1540’s are the best of the best when it comes to studio headphones. You won’t find extra features here like noise cancelling, bluetooth, or an in-line microphone. These are serious headphones that are designed for 2 tasks - To sound amazing, and to be very comfortable. They excel perfectly at both of those things and are used by professional audio engineers and mixers all over the world. The tricky part about headphones is that it’s hard to replicate the sound of studio monitor speakers and therefore get your mix sounding good on all speakers. These replicate them closer than any headphones I’ve ever tried. The accurate, extended frequency response and individually matched neodymium drivers serve up a natural sound and a huge soundstage. Not once have I experienced heated ears or sweat problems with these like I do with some other headphones. It’s like putting 2 very light, comfortable, and airy pillows on your head. The SRH1540 is super lightweight, and comes with a storage case, replacement Alcantara earpads, replacement cable, and a threaded, gold-plated 1/4" adapter. The bass on these is of course top-notch, as are the mids and highs. I can’t think of a single negative thing for these headphones, other than the fact that they are a little on the large side. 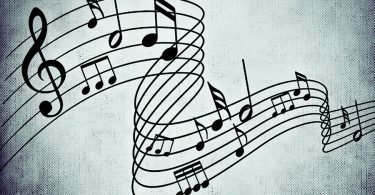 They are truly a joy to listen to all styles of music on. For the low price, these are some seriously great studio headphones. Sure, there are better studio headphones out there for a completely flat-response, but a lot of those have very little bass. What we are looking for here are great flat-response headphones that ALSO don’t skimp on the bass, and that’s where the HD280 comes in. The low-end on these are fantastic. The frequency response here start at around 8 Hz, while most other headphones start out at around 15-20 Hz. The best part is that the lows aren’t artificially boosted. They have a sense of presence that cuts through without turning everything into mud. The passive noise-isolation is a great touch here as well. They block out about 32 dB of ambient room noise. They are also lightweight and collapsible so they make for great travel companions. It would be nice to see a detachable cable here since the cable is usually the first thing to go bad on a pair of headphones, but for the price I think it’s ok to look past that one downside. Keep in mind that there is a big difference between studio headphones that you’ll be using to mix and record music with, versus headphones you just want for bass practicing that emphasise the lower frequencies. 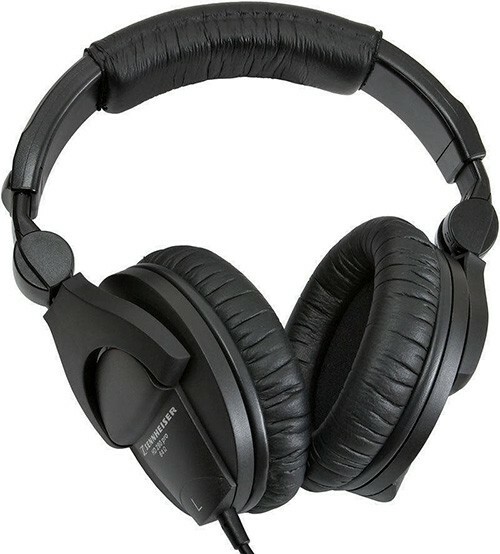 When it comes to recording and mixing music, professionals tend to get headphones that have a flat frequency response. This means that it gives you the most honest sound and doesn’t try to accentuate certain frequencies like the treble or bass. You’ll want this for mixing since you want to try to cater the sound to as many sound systems as possible. If you mix your music using only bass-heavy headphones, you might miss some annoying high-end frequencies that might be emphasized on a different type of speaker setup. 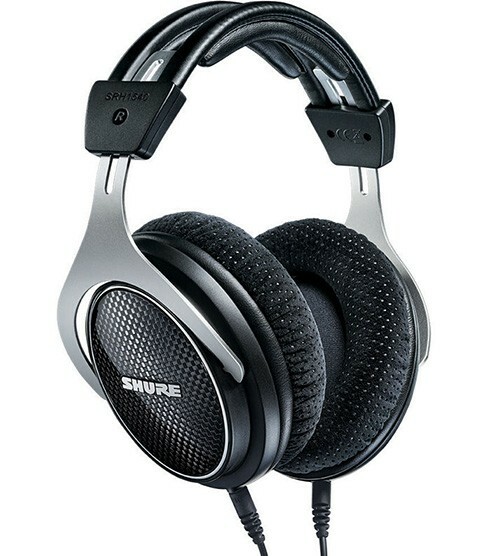 However, if you are just using your headphones purely for bass guitar practice without an amp, it couldn’t hurt to find a pair that really emphasize and boost the low-end. It will be more enjoyable to play and it will bring out that low body-shaking rumble that you get from an amplifier and cabinet combination. It can also be a great idea to get a headphone amplifier to help boost sound quality and bass. You can think of it as a stand-alone soundcard that will help your sound become smoother, richer, and give you a bigger soundstage. I’d recommend the FiiO A3 Portable Headphone Amplifier for this. It’s compact, simple, and also comes with a bass boost circuit to help the low-end. The driver is going to be one of the more important aspects to pay attention to when researching headphones, but not in the way you think. A driver can basically be thought of as a tiny speaker unit inside each headphone cup. It’s what converts electricity into soundwaves by vibrating and pushing around air, and it’s made of a magnet, voice coils and a diaphragm. A lot of companies, especially those looking to show off how much bass the headphones have, tend to emphasize and advertise how big their driver is. Drivers for most over-ear and on-ear headphones range from around 20mm - 50mm in size. The important thing to keep in mind is that driver size does not necessarily mean it has more bass or is better quality. Sure, a bigger driver can push a little bit more air, but the more important things to pay attention to that affect sound quality are the quality of materials used, the tuning of the driver, ear padding, and the enclosure of the driver. Even if a driver is larger, it might be tuned for a flat response rather than a sculpted one which could be exactly what you don’t want when searching for bass-heavy headphones. Other than the driver, the other important and obvious things to pay attention to are long-term comfort, durability, price, and if you want over-ear or on-ear headphones. Most of these things you won’t be able to tell from looking at a picture online, so I recommend reading though lots of reviews and actually trying them on if you get a chance at a store.